Penny Wile, RMR, CRR, owner of Penny Wile Court Reporting in Norfolk, Va., has been a court reporter for more than 30 years. She gives back to the community by volunteering for the Sentara Norfolk General Hospital therapy dog program and her local SPCA. She has also been featured with her therapy dog on her local news station. In January, she hosted her second Woofstock fundraiser event, which collected donations to support the Norfolk SPCA. What prompted you to become involved with the local SPCA? My enormous love of animals. There are so many animals in need of loving homes and families in need of affordable veterinary care. The Norfolk SPCA provides education to the community and a trap/release program for spay/neuter, just to name a few of their valuable services. How long have you been involved in this work? Woofstock II, held Jan. 13, 2018, was my second Norfolk SPCA fundraiser. We held Woofstock I on April 15, 2016, and raised $2,600 in donations. Woofstock II donations amounted to $4,000. I hire a band for the event, and we have a fun time while collecting donations for the SPCA. It’s a win-win for everyone involved. What other community service activities do you support? I am also involved in the Sentara Norfolk General Hospital therapy dog program. My English golden retriever, Cora, and I visit staff and patients at the hospital. We both enjoy bringing happiness to others. When I put Cora’s red scarf on, it’s time to “go to work,” and she is eager to go to the hospital and make her rounds. We have been part of the therapy dog program going on two years now. I have also recently been appointed as a member of the City of Norfolk Animal Welfare Board of Review. What are the greatest benefits personally and professionally to being involved in community service activities? 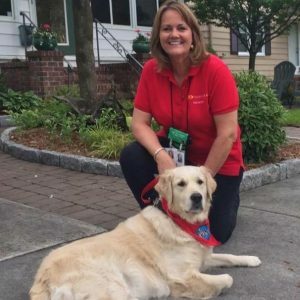 The greatest benefit to my therapy dog program activities is that I am able to bring happiness to patients and family members at the hospital in a variety of settings. Some families receive comfort from Cora while a family member is gravely ill. Staff working in an extremely stressful environment can relax for a moment while visiting with Cora. It makes me happy to see smiles on the faces of staff, patients, and family members when we come through the hospital. 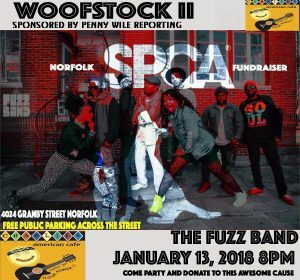 The greatest benefit to my Woofstock events is that through my business I am able to help the animals and the programs of the Norfolk SPCA by creating a fun evening, filled with great music and friends, all the while collecting much-needed funds for this worthy cause. Why is giving back to the community important? Giving back to my community is important to me. I am fortunate that through my success in my court reporting endeavors I am able to donate resources to programs that are important to me. Freelance reporting affords me the flexibility to be able to donate my time to participate in these programs. What advice would you give to someone who is seeking to become involved in community service activities? Anyone can become involved in their community. Find something that is important to you, that you are passionate about, and seek out programs in your area; start small and work toward more programs as time permits. As for me, animals are my passion, and helping people and animals through the programs I support humbles me. 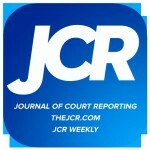 The JCR Weekly will run a series of interviews featuring NCRA members who are giving back to their community in addition to an article in the April issue of the JCR. 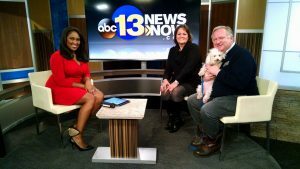 WAVY TV, Portsmouth, Va., reported on Jan. 10 that NCRA member Penny Commander, RMR, CRR, of Penny Wile Court Reporting is hosting Woofstock II to benefit the local SPCA. 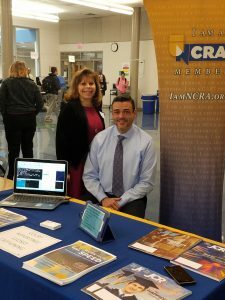 Armed with machines, flyers, and posters, NCRA members Darlene Parker, FAPR, RPR, and Steve Clark, CRC, presented for the second year in a row at a career fair held at South Lakes High School in Reston, Va., on March 23. Parker, a broadcast captioner, is the director of steno captioning and realtime relations for the National Captioning Institute in Chantilly, Va., and Clark, a CART captioner, is the manager of Home Team Captions in Washington, D.C. Approximately 600 sophomores at the school wandered through the career fair held in the cafeteria, visiting tables that included representatives from an array of professions, including law enforcement, health, education, and veterinary care. Students who stopped by the court reporting and captioning table often were three deep, captivated by Clark’s realtime demonstration. The duo first participated in the school’s career day in 2016. Parker, whose son was a junior at the time there, read about the event and contacted the faculty who were organizing it. Both Parker and Clark said participating in the event again this year was just as rewarding as the last time. “The Career Day at South Lakes High School was an excellent opportunity to showcase court reporting, broadcast captioning, and CART captioning. The fast-paced event kept students moving from table to table, almost like career speed dating,” said Clark. “This year we had a steady flow of students who listened to Darlene Parker’s explanation of what a court reporter and captioner does while I wrote what she said. Students were amazed to see their words appearing on tablets within a second of being spoken,” he added. Students were also excited to learn that Clark is the official stadium captioner for the Washington Redskins football team, the Nationals baseball team, the Capitals hockey team, and teams from several area colleges. Annemarie Roketenetz, NCRA’s Assistant Director of Communications, also attended the event. Roketenetz would “snag” the kids, especially those wearing sports-related clothing, and ask them if they liked sports. “Then I would explain how terrific of a profession court reporting and captioning is and how the machine worked. I enumerated that it can be done with just an associate’s degree, the many different types of venues one can work in, the flexibility, and the potential for an excellent income,” Parker explained. Parker reached out to NCRA again this year for materials. She also consulted the Association’s website for helpful handouts, including fun facts. She said it’s important to point out to students how the machine works and the many different venues court reporters and captioners can work in. She also suggests highlighting the need for people to enter the field, as some professionals are reaching retirement age. She also shares with students what CART captioners do, mentioning that most positions offer a flexible schedule and the ability to work from home. She tells students that it is a great profession for those who like words and technology, and that it’s two to three years of schooling for an excellent salary and a rewarding career. Parker is currently making plans to highlight the profession next month at the middle school located next to South Lakes High School where she and other volunteers will present for 35 minutes to two separate classes. “I urge everyone to reach out to your local high schools and school districts. It is fun to participate in these events to promote our great profession to these young people, who are our future,” she said. “These career day events are incredibly important and rewarding. Every NCRA member should get out into the community and share his or her talents in order to draw more students into this field,” added Clark. NCRA members who are interested in presenting at career fairs have a variety of resources available from the Association. The Resource Center at DiscoverSteno.com has fliers, posters, a PowerPoint presentation, and a promotional video (both generic and customizable for a specific program, etc.). Members may also find value in the resources at NCRA.org/Awareness.These materials are focused on Court Reporting & Captioning Week, but members can adapt them for other promotional purposes or to use them to find ideas for highlighting court reporting and captioning. Members who do participate in career fairs or any other promotional activities are encouraged to contact Roketenetz at aroketenetz@ncra.org for possible inclusion in the JCR or JCR Weekly. Keep in mind that any photos will likely need to hide any identifying features of minors, especially faces. To mark its 50th anniversary, the Virginia Court Reporters Association (VCRA) is seeking applicants for a $1,000 scholarship to be awarded during its annual convention being held March 24-26 in Williamsburg, Va. The deadline for applying has been extended to Jan. 31. Applicants can be from any state. The scholarship will be awarded to a student or students, who are in a current accredited court reporting program, either online or bricks and mortar, and have passed their 160 wpm testing requirement. The scholarship is being funded by the Carolyn M. O’Connor Education Fund, which celebrates the life of Carolyn Morris O’Connor. 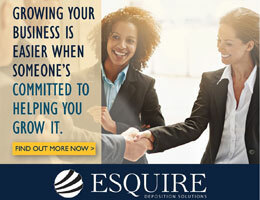 “Carolyn loved the court reporting profession, and she was highly respected by clients and colleagues alike. This Fund was set up to honor her memory and the great contributions she made to the field of court reporting,” said VCRA President Carol Naughton, RPR. Eligible students must also submit an essay and possibly be interviewed via telephone by a member of VCRA’s Education Fund Committee. For more information, contact VCRA at VCRAexecutivedirector@gmail.com, or download an application here. NCRA’s Director of Government Relations, Adam Finkel, joined Philip C. Coulter, Esq., in a panel discussion on what mandatory certification would mean for court reporters practicing in Virginia. The panel was part of the Virginia Court Reporters Association Education Day held March 5 at the University of Richmond in Richmond, Va. The state is currently considering implementing requirements that would call for certification of court reporters working in Virginia. During the panel discussion, Finkel provided an overview of the court reporting profession, as well as information about certification and licensure requirements in general. 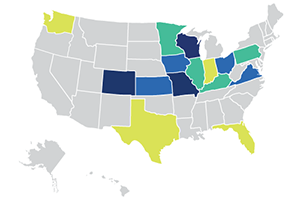 Currently, 26 states require mandatory certification or licensure for court reporters. Court reporters practicing in those states are typically required to pass the Registered Professional Reporter (RPR) Exam, which is administered by NCRA, or a state-issued certified verbatim reporter test. The discussion also addressed such myths about what is and isn’t required should certification in Virginia become a reality, including: certification does not require membership in NCRA or VCRA; court reporters who are not certified if the requirement takes effect will likely have a grace period to comply; and that the Board of Court Reporting that would be established under the change would be administered by the Commonwealth of Virginia, not NCRA or VCRA. 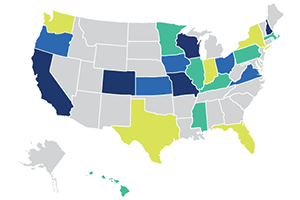 Finkel and Coulter also noted that some states have grandfathered in working reporters under newly implemented certification requirements and that many states offer reciprocity with certified reporters in neighboring states. Coulter, who joined Finkel in the panel discussion, is an attorney with more than 37 years of experience. He serves as a member of the Boyd-Graves Conference, an invitation-only group of experienced civil trial lawyers and judges. Acting by consensus of its membership, the conference recommends needed changes to the Code of Virginia and the Rules of Court relating to state court civil litigation. 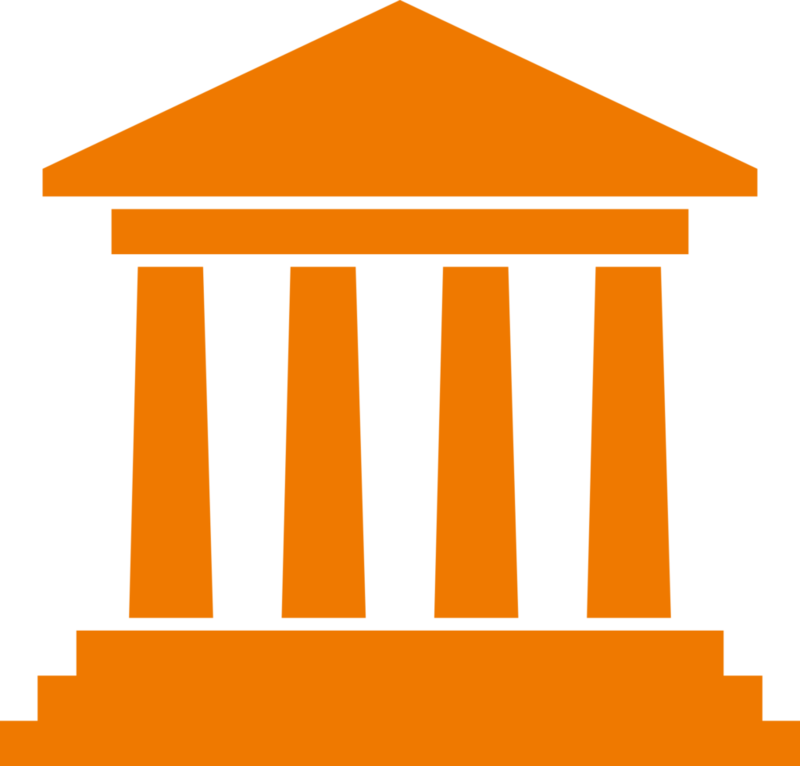 The conference is supported administratively and legislatively by the Virginia Bar Association. NCRA member Lois Boyle, RMR, Newport News, Va., was quoted in an article posted by the Daily Press on Nov. 8 about area theaters providing open access to patrons who are deaf or blind. Boyle is president and executive director of Access Virginia, the group providing theaters with audio description and open caption services. Read more (may require a subscription).